1. 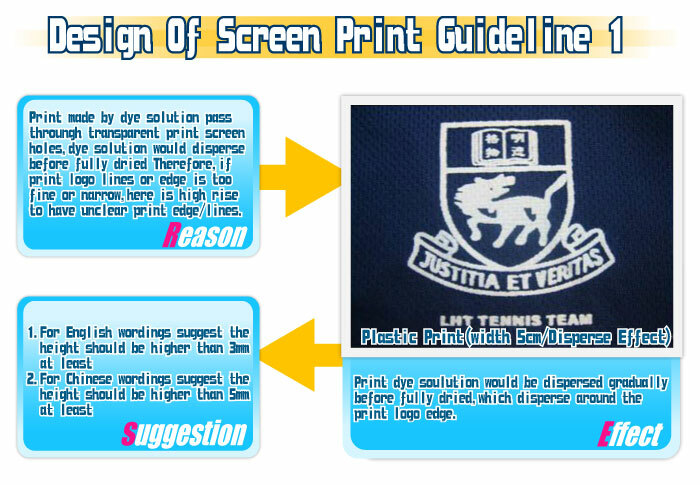 Individual print FILM and FRAME must be issued for each silk screen print color. 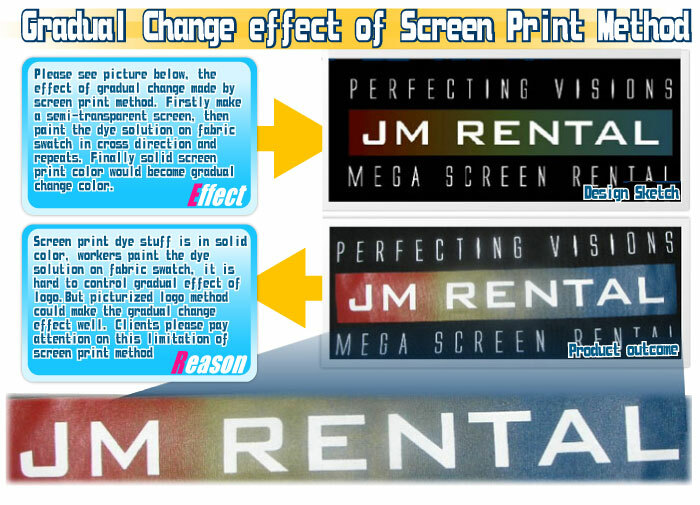 Therefore, price will increase in proportion to the number of colors in the logo. 2. 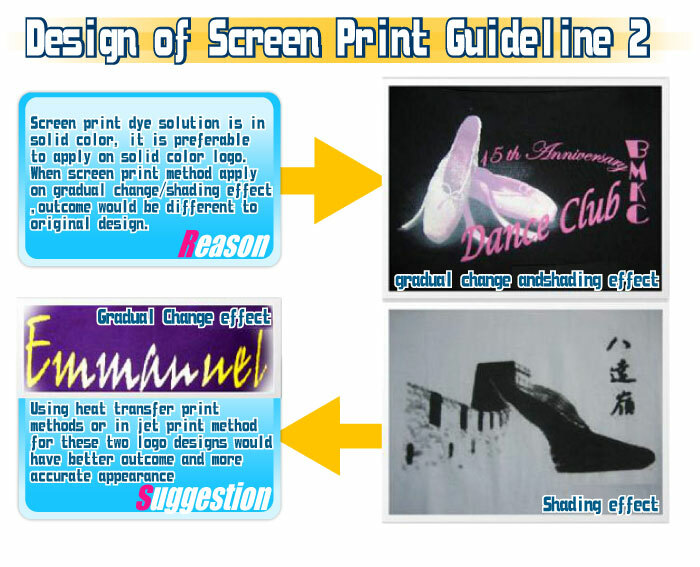 In general, oil-based screen print (膠漿絲印) should be applied for white and light color fabric. While water-based screen print (水漿絲印) should be applied for black and dark color fabric.